Question of the Fortnight: What is your best networking tip? 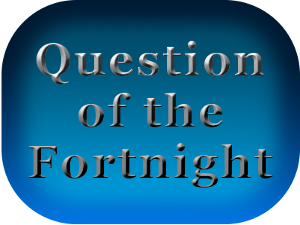 Why am I talking about fortnights? Because I want the question to be out there for more than one week and less then a month (I thought about doing a question of the week or month). A month seemed too long and a week didn’t seem long enough. And biweekly can be a confusing term (does it mean twice a week or every two weeks?). So, I borrowed a word from British English. This fortnight’s question is: What is your best networking tip? Share in the comments below what your best networking tip is! Previous postWhat do you really control? Listen more than you talk. I try to pay attention to what people need, and meet those needs if I can. Example: I was at a networking event and one of the people there made an aside comment on recent changes to gmail. When I got home I sent her a blog article I had done on the topic (explaining how to move things around to different tabs). She has since told other business owners how knowledgeable and helpful I am. I believe being a person of integrity at ALL times is most important. Regardless of the business, be honest and forthright always looking out for your clients’ best interest. Never compromise on this point. I also believe listening is the key but then after listening asking questions to find out what your client really needs and wants so you an address these.